Massive penthouse, gut renovated to the highest standard, absolutely no money spared in this classic pre-war sun flooded 3 Bedroom, 2 Bathroom apartment. This home features southern exposure extra large living room, dining room with oversized windows on 83rd Street between WEA and RSD. With approx. 1,900 SF of gracious living, all major rooms are facing sunny southern exposure over looking beautiful detailed pre war building. 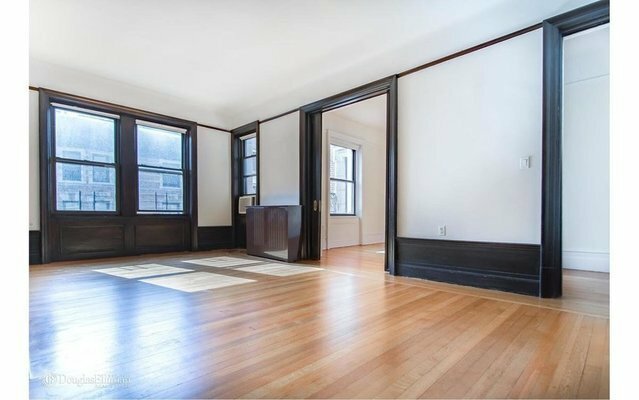 The apartment features beautiful new wood floors, closets galore and high ceilings. The foyer leads to a large, elegant living room, formal dining room with pocket doors, both have decorative fireplaces, large brand new windowed Kitchen with wonderful built in cabinetry and granite countertops. Three generous bright bedrooms and two gut renovated bathrooms complete this beautiful home. Sorry, no dogs allowed. 2 year term minimum, Video intercom system, Laundry room and Live In Super in the building. This pre-war elevator building with gorgeous Lobby offers old world charm, near top schools, Riverside Park, major transportation and shopping on Broadway.